RFEM2.4G is an Expansion Module for RF Explorer. 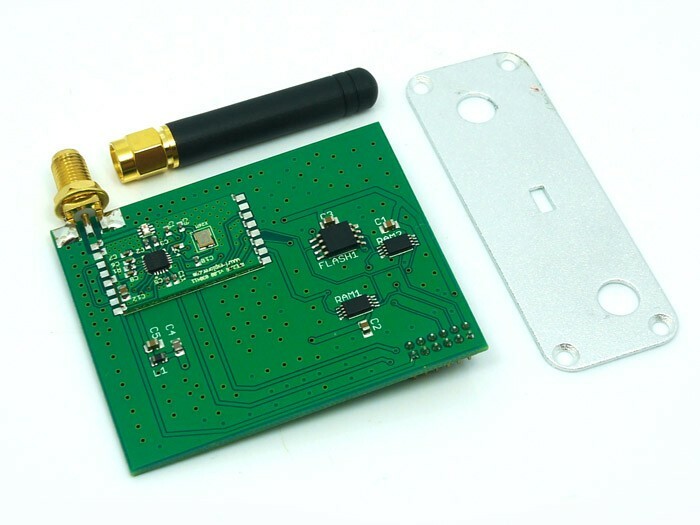 It can be plugged in your RF Explorer unit to extend the coverage to 2.4Ghz frequency band.It gets attached internally to the RF Explorer main board and exhibits a second antenna connector to cover the new band. RFEM2.4G is an Expansion Module for RF Explorer. It can be plugged in your RF Explorer unit to extend the coverage to 2.4Ghz frequency band. It gets attached internally to the RF Explorer main board and exhibits a second antenna connector to cover the new band. Easy to plug in your RF Explorer unit, compatible with all models.